Take away pamphlet created for parents to use after a class which taught techniques of how to play with LEGO bricks. 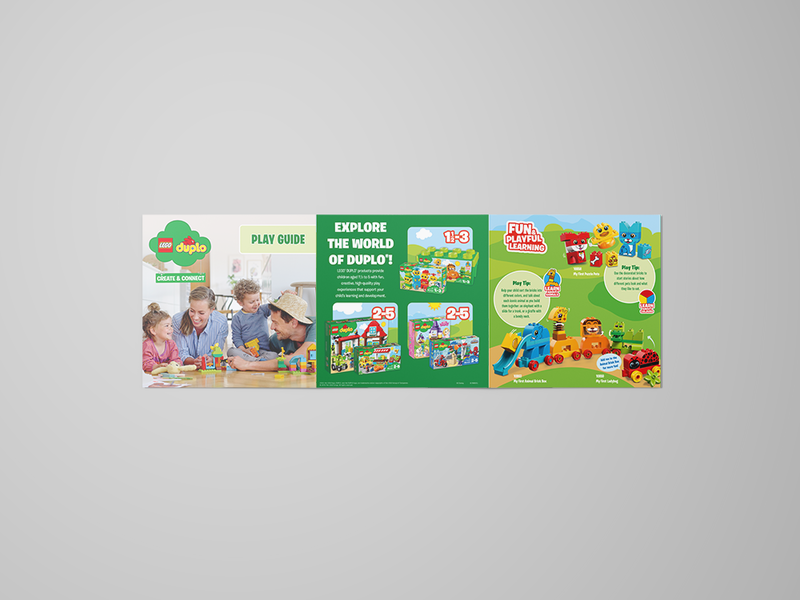 The goal was to give examples of games that are both fun and educational for young builders. LEGO, the LEGO logo and the Minifigure are trademarks of the LEGO Group. ©2018 The LEGO Group.